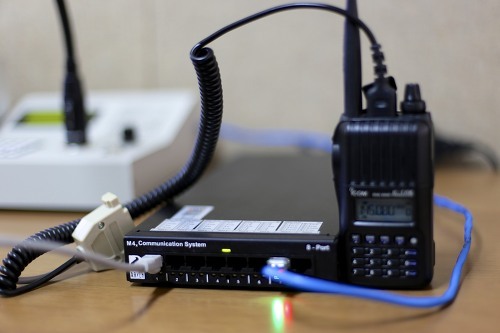 ROIP stands for Radio over Internet Protocol (RoIP)is a methodology of transmitting and receiving radio communications via Internet Protocol (IP), a data communications standard used to power the Internet as well as home, business and government computer networks. The difference between VoIP and RoIP being in VoIP voice is transmitted over IP networks and in RoIP radio packets after conversion are diffused over IP networks. RoIP architecture is designed to enhance the communication coverage of a radio network and the convenience of radio usage by leveraging IP networking technology with ease of implementation. This software-based, high-availability RoIP platform is designed to help command centers in utilities, industries, transportation, government, public safety, army, navy to achieve maximum situational awareness and improve their decision making process. The whole architecture includes a converter, end phones/ devices also known as walky-talkies, IP network. This architecture can work with verities of PBX like Avaya. Jampot provides the RoIP systems in accumulation with IP Trade solutions allied over same network. This leads organizations to scale their end devices to larger extent thus increasing performance. RoIP devices because of their eccentric features like long-lasting battery pack, easy to hear in noisy environment, optional GPS Microphone, modernize design, are used in a variety of industry sectors including: avionics, ground stations, marines, government, healthcare, military, transportation and utilities. Applications include: air traffic control, dispatch services, emergency services, financial trading, logistics, mission control, network operations, power transmission and public safety.This highly efficient solution is designed to provide maximum situational awareness with the goal of improving decision-making processes and accelerating responsiveness.